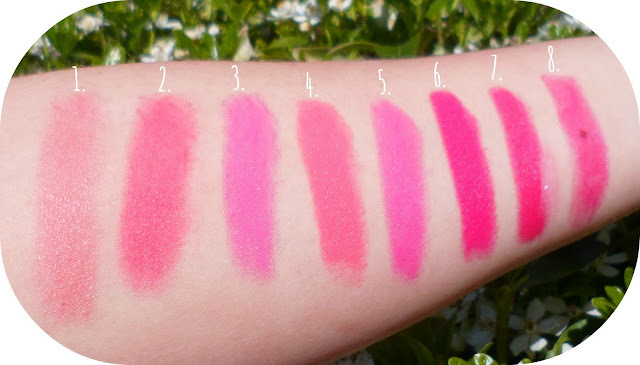 The Kate Moss lipsticks smell so lovely! I love me a pink lip! The Barry M looks lovely. 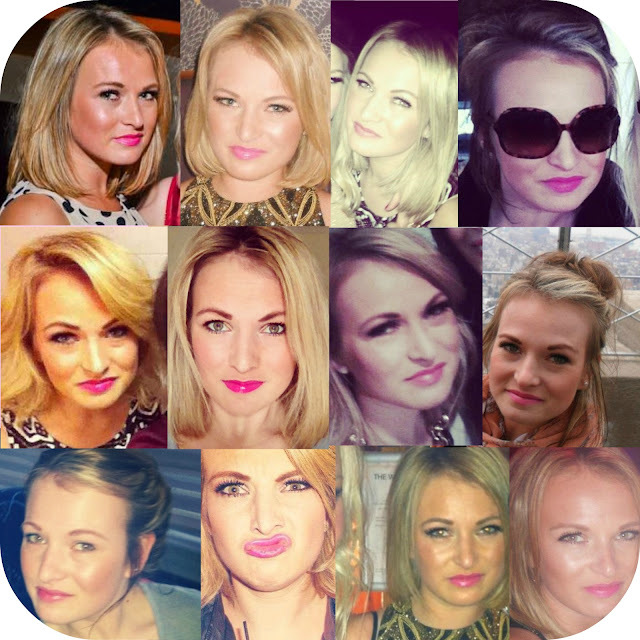 My favourite I think is a 17 lippy in Bubblegum, it's bright but not neon and I love it! :) Great post!! Lollipop looks like such a gorgeous shade! I love it - and sooo shiny! Omg love it, Ur pinks are amazing! Such a lovely blog! Love the Barry M Bubble gum pink! 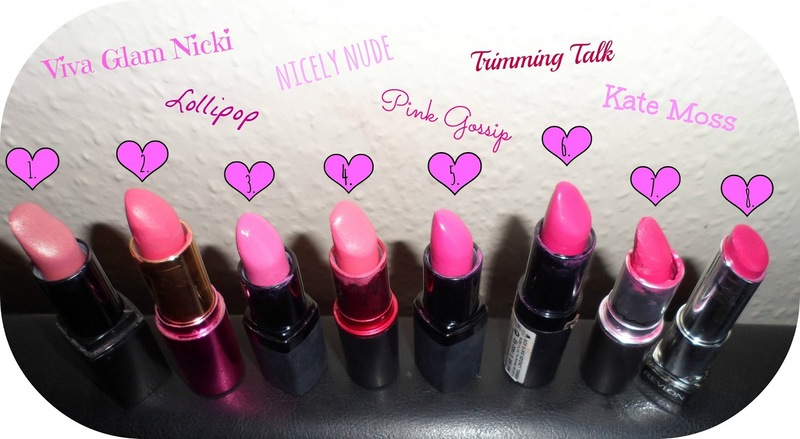 My fave lip sticks are nudes! 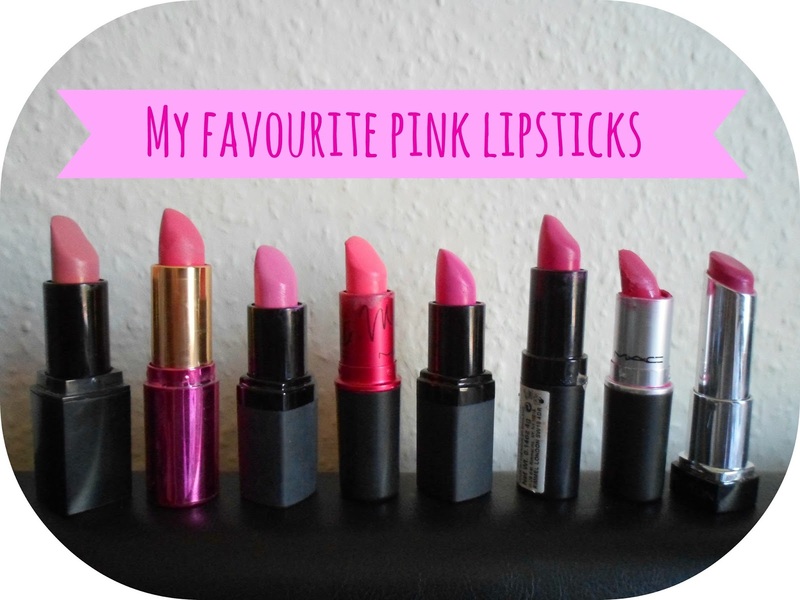 Oooh I love pink lipsticks! This is an amazing post for me! I'm on the lookout for a new bright pink. This has made me want them all! I think the Kate Moss is my favourite!